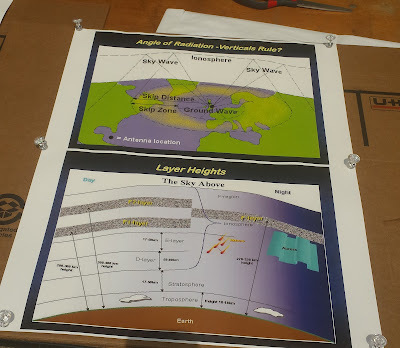 Discuss layers in the ionosphere skip, the skip zone, sunspots and the sunspot cycle. Give them the opportunity to talk to our contacts on the air. 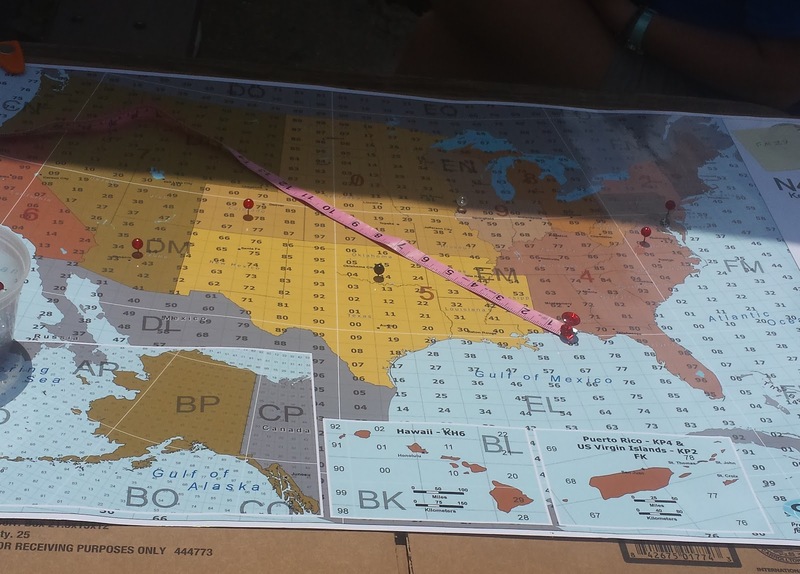 Have them plot a contact, measure the distance and record the distance. They could see the pattern of the skip and skip zone develop. Mike AI4NS used some graphical aids to perform step 1. 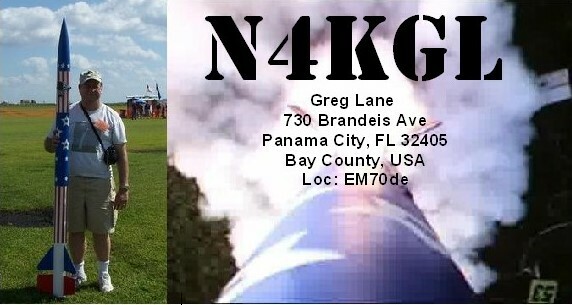 Greg N4KGL operated the N4P station for Part 2. Bob KK4DIV assisted the participants in plotting the contacts on a map for part 3. We were also assisted by Patrick KD0DVH and his wife. Thanks Mike, Bob and Patrick! 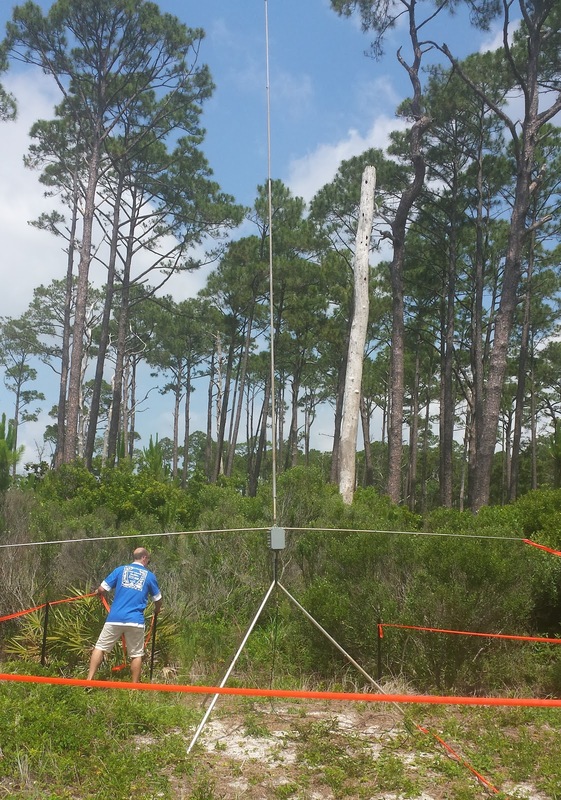 We activated Naval Live Oaks as part of Gulf Islands National Seashore (SS08) for National Parks On The Air. We paced our contacts as visitors arrived. We got most of them on the air. We had help from out NPOTA contacts to carry the other side of the conversation. We also did some hunt and pounce. 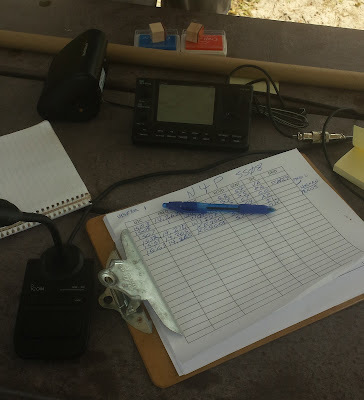 A contact with 4V1G in Haiti was super. We also chatted with KC1CXC aeronautical mobile near the Dominican Republic. His commercial flight left Aruba and he was headed to Philadelphia. Our 20 meter contacts were mostly between 600 and 900 miles from the data. We had additional contacts between 900 and 1800 miles. The skip zone was about 600 miles. We had one exception at 400 miles and one ground wave contact with Pensacola Florida. 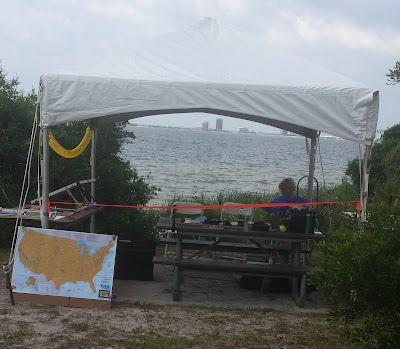 The rig was my Icom 7100 and a 40 amp-hour LiFePO4 batter assisted by a 100 watt solar panel. The antenna was a N6BT Bravo 7K vertical. 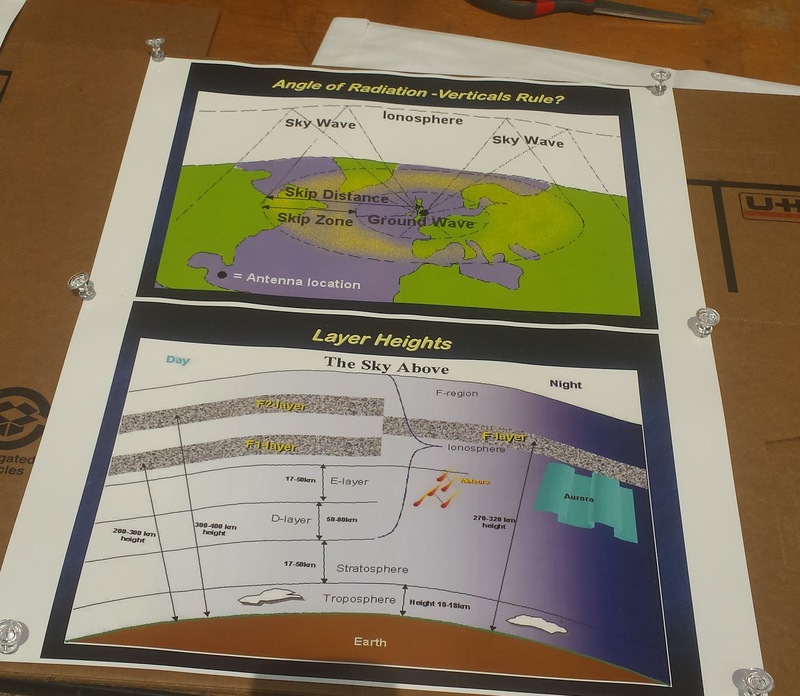 Our graphical aids came from a Propagation 101 presentation by Lee Jennings ZL2AL now a Silent Key. The maps were from CQMaps. The reactions of the kids to speaking on the air were varied and memorable. Some of them were very young. I feel involving the participants enhanced their experience. So we felt pretty good about the day. The band conditions could have been better. But hey that how is the ionosphere rolls. Thanks to the National Park Staff for inviting us. If we had another opportunity we would do it again. Perhaps this idea would work for Jamboree On The Air (JOTA). Please checkout these YouTube videos. The National Park Service and National Geographic have teamed up this year to host a National Parks BioBlitz throughout the country in celebration of the National Park Service Centennial. Gulf Islands National Seashore, in partnership with Okaloosa Science and the University of West Florida, will host a BioBlitz species identification and Biodiversity Festival on May 21, 2016, at the park's Naval Live Oaks Area in Gulf Breeze, Florida. 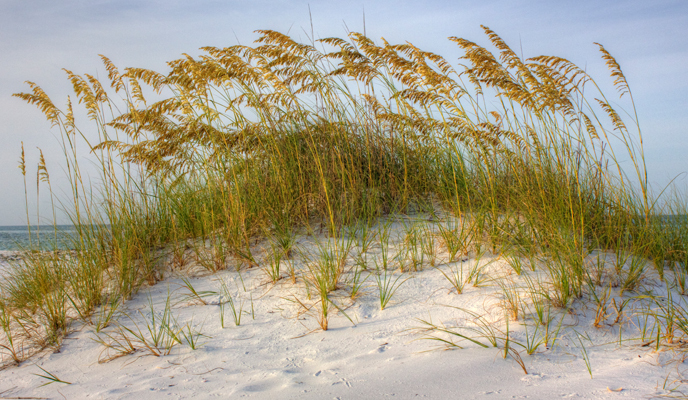 Gulf Islands National Seashore is home to many different plants and animals. In 2016, the National Park Service (NPS) will celebrate its 100th anniversary, and radio amateurs will be able to help mark the occasion with the ARRL National Parks on the Air (NPOTA) event. 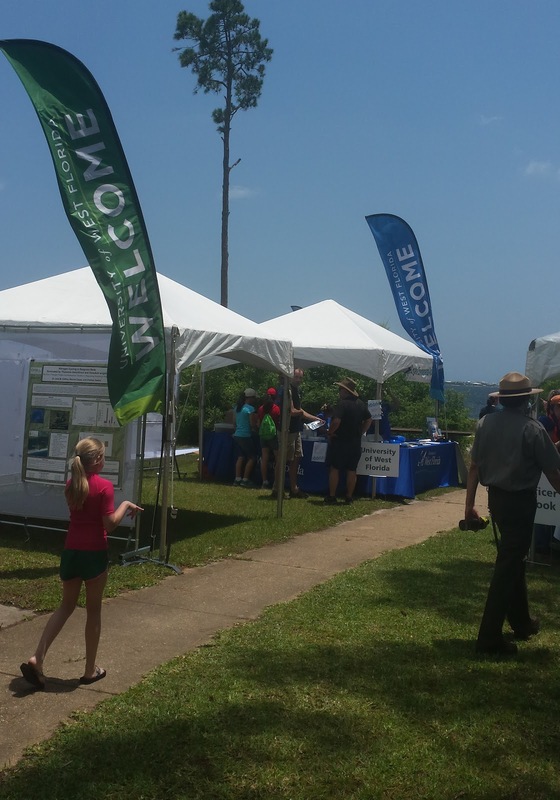 As a result, there will be a special event station using callsign N4P at the NPS Biodiversity Festival at Naval Live Oaks on May 21st. We will be doing National Parks On The Air but with a twist. We will involve the participants in a real time science experiment by collecting data on radio wave skip while operating on 20 meters. The participants, many being youth, will help us make contacts. They will also plot the contacts on a grid square map. The distance will be read from the map and logged. Over the day, we hope to see a pattern of the skip distance and the skip zone. 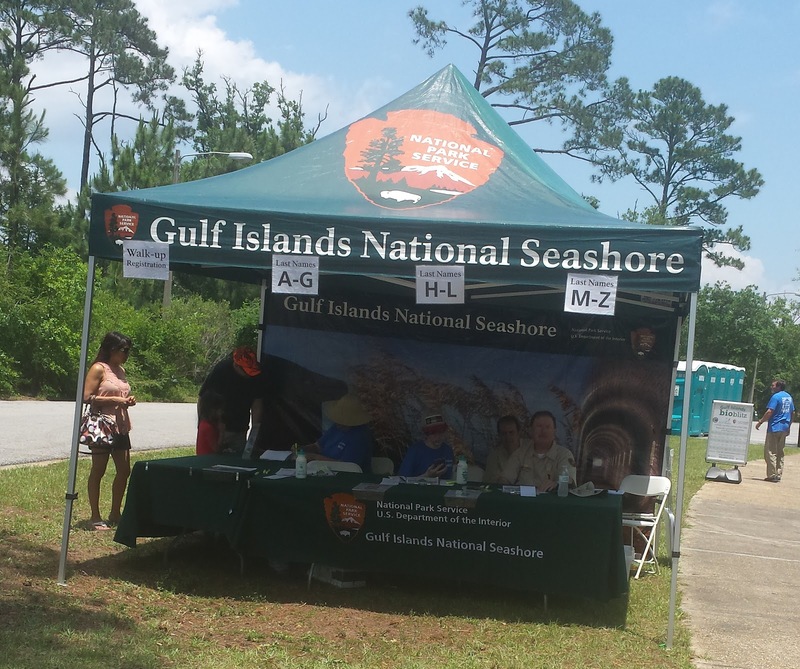 N4P will be SS08 Gulf Islands National Seashore for NPOTA. However, we would like chaser's four digit grid square in addition to their state for plotting the contacts. Please be patient and slow the pace so we can get those kids on the air. Listen for us around 14.265. 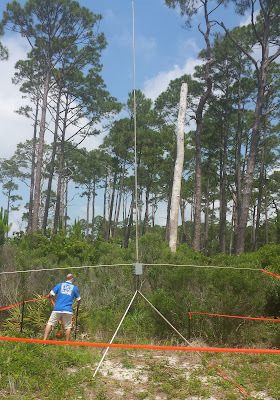 Greg Lane N4KGL and Bob Plank KK4DIV will operate N4P and assist the "scientists" who participate in the experiment. Jim K0RGI has come up with a new sprint concept for field ops and their chasers. It is the Second Saturday Sprint. Visit the QRP Field Ops Community on Google+. The Sprints are May through October. So get your member number. Mine is 103. For May I had a nice mix of contacts at 5 watts on 40, 20 and 2 meters. A dozen in all. I was glad to reach members Kelly K4UPG and Pat NQ0N. I have a cadre of local chasers that help. Suzy and I enjoyed the nice weather in a park in Lynn Haven, Florida by St. Andrews Bay. The rig was the Elecraft KX3 and the antenna was the Bravo 7K vertical next to the water. I like that other events and casual contacts count. This is a good concept for QRP Field Ops. Thanks to Jim K0RGI for setting up this event. I am sure it will grow month by month. 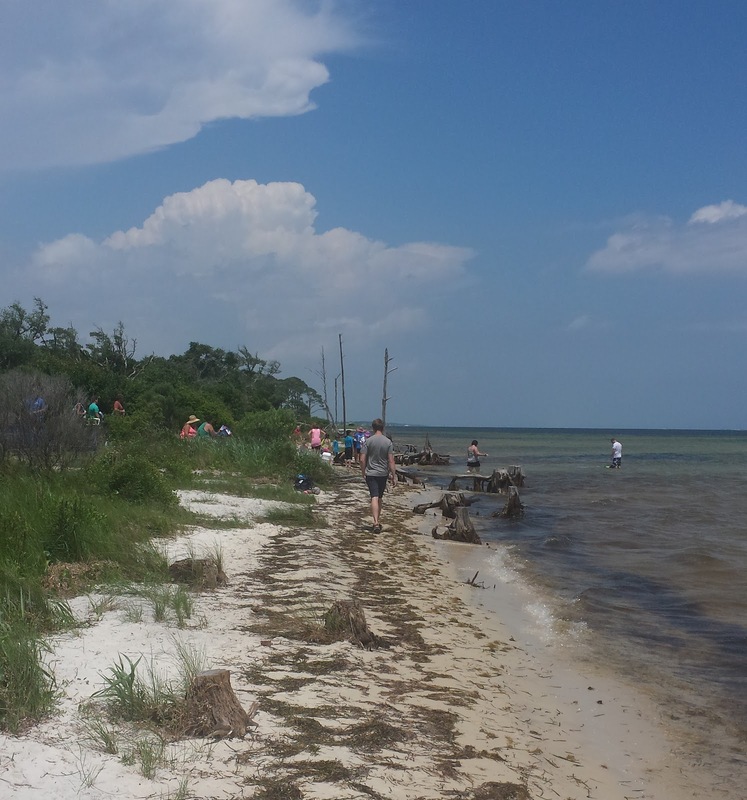 Naval Live Oaks near Gulf Breeze Florida is part of Gulf Islands National Seashore. The NPOTA designator is SS08. I am planning to support a BioBlitz/Biodiversity Festival event at Naval Live Oaks on May 21st. So the trip was in part to check out the site prior to the event and I might as well make it an activation. My antenna choice was the Bravo 7K from N6BT.com. It worked very well for my activation at the Jimmy Carter Plains Georgia site. It has the advantage of being self supporting. Neither NLO or the Georgia site wanted me to use the trees. I find the Bravo 7k works fine on 40 meters but not so well for the close in contacts. This is because a vertical has a null for the high angles required for NVIS. I did locate the Bravo 7K as close the the shore as I could without being in the way.. The picnic area has saltwater on the south side. The rig this time was the Icom 7100 that packs up with a tuner and battery in a toolbox. I used my dog stroller to get the gear to the picnic area. Suzy does not need the stroller. I started on 40 meters. I actually worked three other activators at PK04, RC04 and HP17. I worked W4MQC who was maritime mobile. KM4ELJ, Mike, was able to pull me in. He is near Panama City. A highlight was working Tom WD0HBR from Dothan, Alabama. His rig was a Frog Sounds at one or two watts. I think he came in better on my end that I did on his with 50 watts. I had more than the ten contacts required on 40 but I went to 20 meters to test out the antenna. I had three on CW. Then on SSB I got a string going. I stopped before it became a pile up. I want to save some for the May 21st event. I will use this same setup then. The weather was nice and sunny. I got a little burned as I never got around to using the sun-screen. Suzy found some shade under the picnic bench. The park filled up as it was a great time to be outdoors.